Trap captures of spotted wing drosophila continue to fluctuate. We often see increases in trap captures after fields have been harvested, so we will be looking for this in upcoming weeks. All moth traps were removed from all sites on June 6th because the activity period for these insects has concluded. 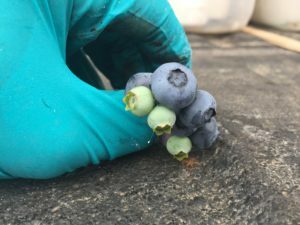 We will continue trapping for spotted wing drosophila and blueberry maggot fly until the end of harvest. So far no blueberry maggot flies have been found at any of our trapping locations. 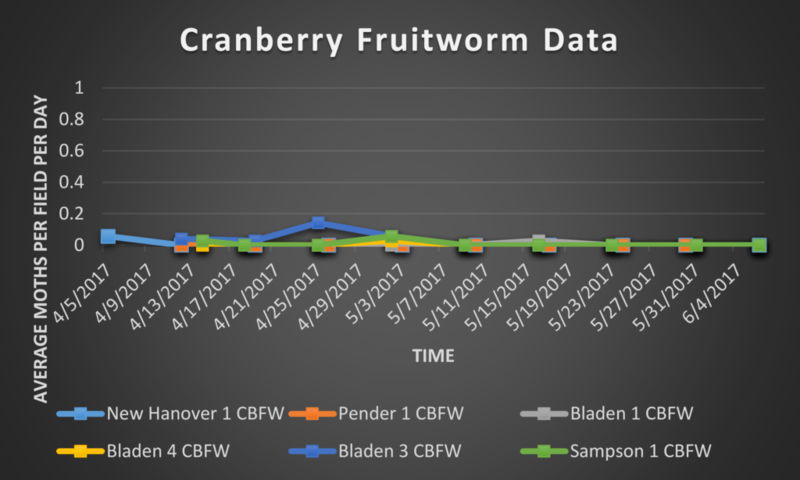 Six total blueberry fields are being monitored with five trapping stations at each field site and each station consisting of one spotted wing drosophila (SWD) trap baited with a yeast sugar-water mixture, one white “wing” sticky trap baited with a pheromone lure attractive to male cranberry fruitworm moths, one white “wing” trap baited with a pheromone lure attractive to male cherry fruitworm moths, and one yellow sticky trap baited with ammonium bicarbonate to attract blueberry maggot flies. 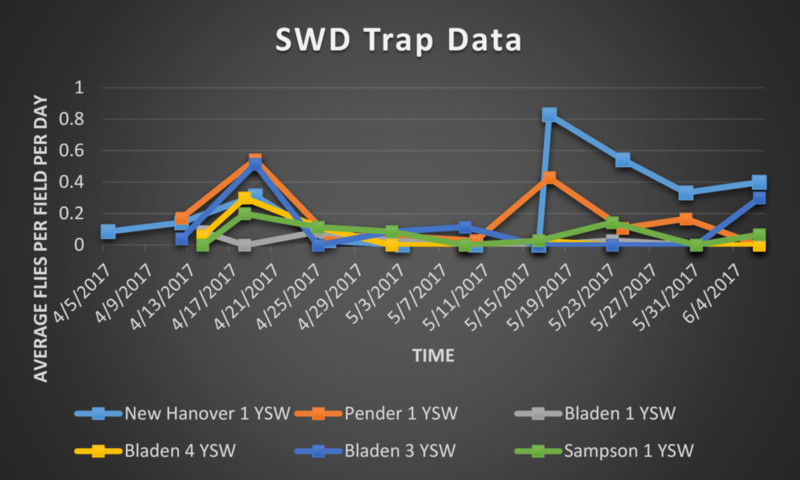 During this trapping period, 14 SWD were captured at New Hanover 1, 0 SWD were captured at Pender 1, 9 SWD were captured at Bladen 3, 0 SWD were captured at Bladen 1, 0 SWD were captured at Bladen 4, and 2 SWD were captured at Sampson 1. 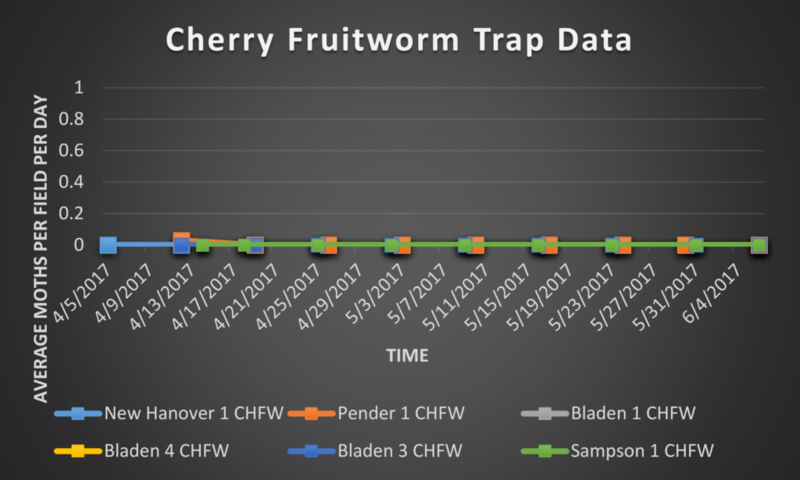 No cherry fruitworm moths were captured during this trapping period. 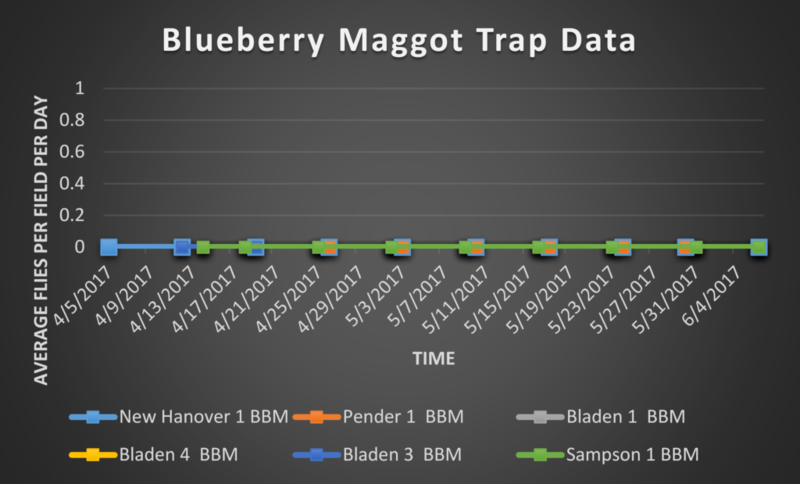 No blueberry maggot flies were captured during this trapping period.